Transponders (electronic scoring) will be used at ALL NATIONAL Events for ALL classes. Everyone must have a working transponder or they will be scored last, per the ISOC rulebook. We will continue to use AMB transponders as we have for the past few years. This transponder works with our system. 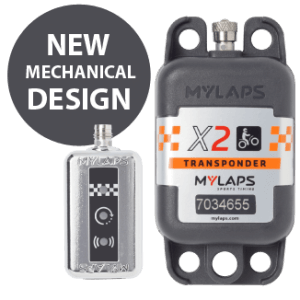 If you need to purchase a new transponder, that can be done here. This type of transponder is subscription based and must be updated and reactivated. Check mylaps.com for all the information. We will also have a limited number of rentals available each weekend if you chose not to purchase your own. There will be a $40 per weekend charge for the rental and a credit card number will be held as a deposit. We do encourage anyone who is running multiple National races to purchase their own. With the AMB transponder, you will be able to create an account, log into it and see all your lap times, etc. All race results will be uploaded onto MyLaps.com at the end of the race weekend when all results have been officially reviewed. Race-monitor.com will be running where our internet supports. This can be viewed on your laptop or you can download the app to your Android or iOS devices to see live timing and scoring from on track. This program will also store results for the weekend to view after the race. All transponders will need to be registered with ISOC so we can associate the racer with the transponder. You can simply do this by logging into your racer profile and entering the number that will be printed on your transponder. Once you have it registered on your profile, you only need to do this once unless it changes throughout the year. So whether you purchase one or already own the correct transponder, please get this done.